The Nationalist Party has managed to halt a downward trend in support that had been developing since May, the MaltaToday survey shows. The PN registered 29% support, an increase of four points over the last survey in September. 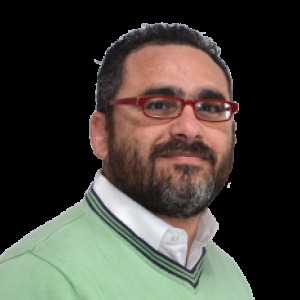 In May, the party had registered 32.1% support, its highest result since Adrian Delia became leader. However, since then poll results slipped and in September the PN reached its lowest point this year at 24.8%. The latest findings show that the PN has gained ground but this does not appear to have come at the Labour Party’s expense. The PL broadly retained the same level of support it posted last month, at 47.3%. The results suggest that the PN has managed to draw more support from those who voted for it in the last election but who are undecided. The undecided PN voters dropped to 6.7% from 13.8%. However, the PN still struggles with a resistant cohort of its own voters who say they will not vote. In the October survey, 19.2% of 2017 PN voters say they will not vote, an increase of one point over the previous month. As a result of the PN winning back converts, the gap between the parties now stands at 18 points. The gap was 23 points last month. If the results are re-calculated on the basis of declared voting intention by removing those who said they will not vote (17.6%) and those who are not sure (4%), the PL could be looking at support levels in the region of 60% and the PN 37%. The gap between the parties would translate into a difference of 70,000 votes. The survey was held after the PN’s Independence Day celebrations and in a period characterised by the Planning Authority’s approval of the db high-rise project in St George’s Bay and the subsequent private jet controversy linked to it. The findings show that Alternattiva Demokratika bounced back from a downward spiral, registering 1.8% support. This was the first time that AD surpassed the one per cent mark since February. On the flipside, support for the Democratic Party continues to fluctuate. PD registered 0.4% support, a decline from the previous month’s 1.3%. The results suggest that none of the third parties so far constitute a threat to the dominance of the two big parties. There is a slight increase in people who will not vote if an election is held tomorrow. The survey shows that 17.6% of people will not vote (16.3% in September) while 4% say they are unsure of their choice (9.7% in September). The PL surpasses the PN across all age groups, posting its strongest result (57.9%) among those aged 51 to 65. Among the young (18-35), the PL scores 32.1% as opposed to the PN’s 26.9%. The PN’s strongest performance (36.8%) is among those aged 65 and over, albeit still trailing the PL that registers 55.3% in this age group. The PL is stronger than the PN across all regions except the Northern region, where it posts its weakest result (29%). The result for the Northern region sees the PN ahead with 42.4%, which mimics the result obtained by its leader, Adrian Delia, in the trust barometer. The PL’s strongest showing (62.5%) is in the South-Eastern region and this is also a reflection of Joseph Muscat’s trust rating in the area. When it comes to voter retention, the PL enjoys the support of 91.5% of those who voted for it in the last election, while 1% say they will now shift to the PN. The PN retains the support of 69.3% of those who voted for it last year, while 2% will now vote for Labour. Adrian Delia has registered a slight improvement in his trust rating but not enough to significantly claw back the massive gap with Joseph Muscat. According to October's trust barometer the Nationalist Party leader is running at 19.8%, an upward movement of almost two points over the previous month. The latest MaltaToday survey was held after the PN’s Independence Day celebrations on the Granaries, which traditionally mark the start of a new political season for the party. This year’s festivities were used by the party to try and rally the troops behind Delia in search of unity ahead of next year’s European Parliament election. The survey suggests that the PN’s efforts may have yielded some results. Delia sees his overall trust rating go up and in the Northern region he manages to get ahead of Joseph Muscat. Perhaps more significant is an increase of four points in the trust level among those who voted PN in the last election. Delia now enjoys the trust of 46.7% of 2017 PN voters. There is also a drop in 2017 PN voters who said they trust no one – from 44.8% in September these have climbed down to 40.3% in the latest survey. And PN voters who trust Muscat also decreased to 7.8% from 9.4% a month earlier. The figures may offer Delia some reprieve after August’s dismal showing in the aftermath of the Egrant inquiry findings. Whether they match the party strategists’ expectations is unclear but for a leader who has, over the course of a year, struggled to be a significant challenger to the Prime Minister, it is evident that Delia has a very steep hill ahead of him. Delia’s numbers appear fickle when compared to Muscat’s stratospheric run that sees him enjoy a trust rating of 52.9%. This represents a marginal drop of less than a percentage point over the September survey. The gap between the Prime Minister and Delia stands at 33 points. Muscat continues to outstrip Delia across all age groups and in all regions, bar the Northern region. 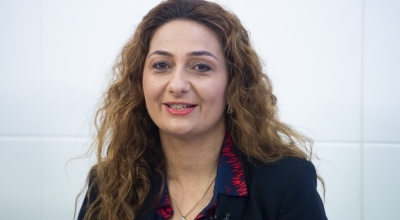 In the north, which comprises the localities of Mellieħa, St Paul’s Bay, Għargħur, Mġarr, Mosta and Naxxar, Delia edges out the Prime Minister with a trust rating of 32.9% as opposed to Muscat’s 30.5%. This region is also the one with the highest percentage of people who lack trust in the political establishment. A third of voters in the north say they trust neither of the two leaders. Muscat’s strongest performance is in the South-Eastern region where he registers a trust rating of 72.6%. 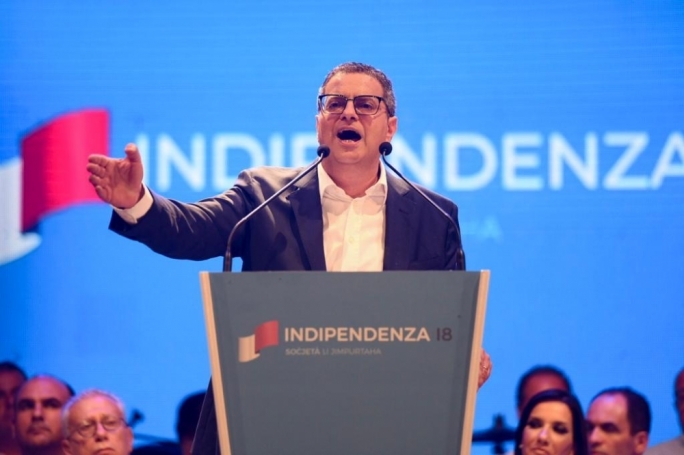 This region, which includes the localities of Marsaskala, Żejtun, Birżebbuġa and the villages around the airport, is also the one where Delia posts his weakest result at 9.7%. In Gozo, Muscat scores a trust rating of 62.1% as opposed to Delia’s 25%. While Delia still struggles to draw trust from those who voted for the PN in the last election, it is a completely different story for Muscat. The Prime Minister retains the trust of 95% of those who voted Labour last year, while only 0.7% say they trust the Opposition leader. Overall, there are 24.3% of voters who trust neither of the two party leaders, while another 3.1% are uncertain.